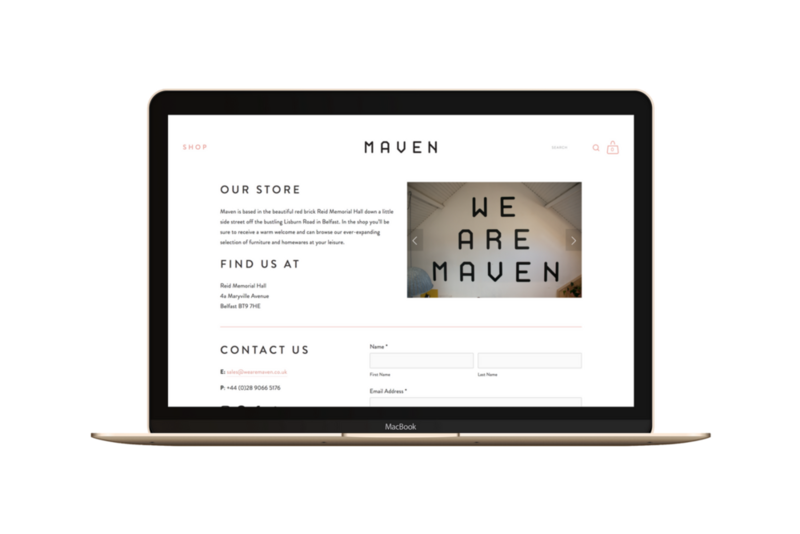 Maven is a furniture and homeware shop in Belfast, Northern Ireland. At Maven, sisters Catherine and Patricia McGinnis have curated a selection of largely Scandinavian and Irish products. With a belief that everyday items should be enhanced by great design and that shopping should be all about the friendliness. Their store is based in the beautiful red brick Reid Memorial Hall down a little side street off the bustling Lisburn Road in Belfast. In the shop you’ll be sure to receive a warm welcome and can browse our ever-expanding selection of furniture and homewares at your leisure. The old website felt corporate and cold, failing to emulate the vibrant, exciting products that Maven stocked. The new website places an importance on imagery - from product photography and lifestyle photography of their interior design work. 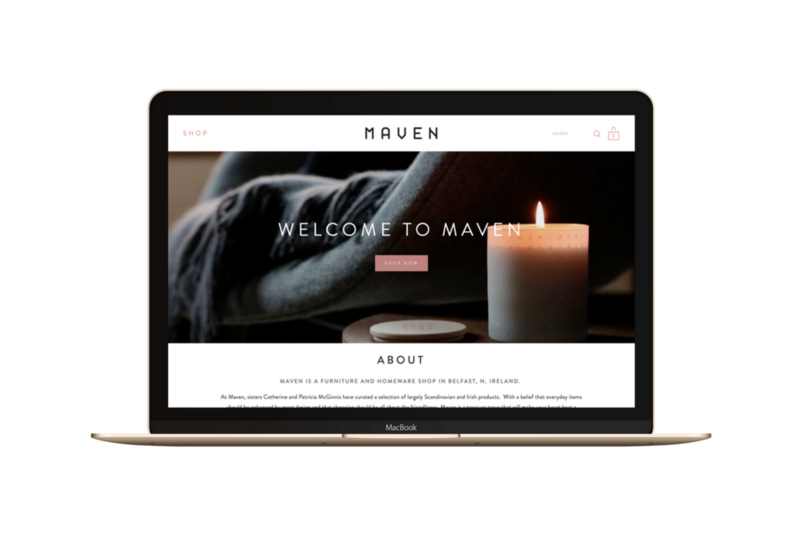 Social media is critical to Maven's digital strategy and with very little integration with social channels on the old website, this was at the fore of the new solution. Live feeds from Instagram and a new up-to-date journal keeps the website fresh and relevant.